Taking your business out to an expo and having your own trade show and exhibition display stand is an absolute blast. It’s a chance to put your business on exhibition displays in a whole new way and can invigorate the sales team, as well as drive leads to your business, and check out the competition at the same time! Designing your next expo displays is a process that is months in the making. To get it just right, you need to be on top of your game well in advance, doing up the design and then putting in your orders to make sure that everything is ready to go well in advance. 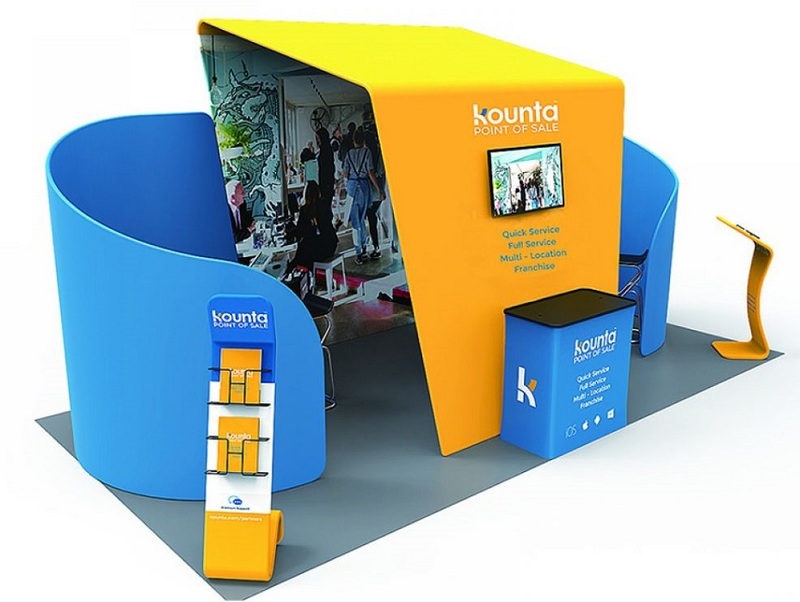 If you’re looking for trade show and exhibition displays that sets you apart from your competitors, and ?one that ?allows you to capture the interest of potentially new customers, our expo display system is the perfect solution. Whether you are incorporating multi-media in your booth or just like the variety of panel dimensions and sizes, our exhibition display stands offer limitless possibilities. Sturdy, yet lightweight aluminium tubular framing joins with premium fabric graphics and customise hardware which allows for premium styling and features at an affordable cost. Easy to set up, and all prices include full colour sublimation printing in all areas! You can also upgrade to expo displays double sided printing for an extra fee. Our trade show and exhibition Displays are the ideal display for a wide variety of indoor events and exhibitions. Constructed from 240gsm tension fabric with unlimited full-colour printing! The exhibition display stands are quality aluminium construction designed to last and assembly takes less than ten minutes. Simply connect together the numbered poles, slide the tension fabric material over the frame, then close the zipper along the base of the material for a perfect fit. The first thing that you’ll need for your expo displays is a back wall. We have back walls with slim, portable fabric that come in under 3m, either in a regular rectangular style, with a cutout design at the top and sides for a bit of shape, or even a wall that curves around the sides too. Pair your back wall with some sides if you wish, as well as internal stand up banners, a arch, a desk, temporary shelving, a podium, table and chairs or more – all branded of course. We have a wide range of slimline exhibition display stands available in a variety of shapes, sizes and finishes. The display stands have been designed to be light weight, easy to transport and look great! We have various packages available to give you ideas for your trade show and exhibition displays. If the stock sizes don’t work for your event we can custom build any stand size to meet your requirements. When you have a longer booth, you have a little more space to play with, which means you can incorporate more elements not only into your walls but the floor space, too. Choose back walls with various heights to make your booth more interesting to the eye. At the front, you can even add an inflatable arch to really get things kicking. The world is really your oyster here; you have so much space to play with. You can create various “zones” within your display, perhaps one zone for introducing people to your product or service, an area for sales, an area for refreshments or to chill out? Make sure that your business looks appealing to people walking past – since there are always customers milling around! You’ll have plenty of room for product demos, etc. too. Think about installing a flooring element for a more substantial expo space, as it makes for a better-branded look. Wild Cow Visuals can help you to create any look that you could dream of for your expo display space. We can make not only your walls and banners but stands and other elements too. Enquire today about how we can help your business achieve success at your next expo, or if you have a particular style in mind then send through for a quote. Wild Cow Visual is based in Sydney but we ship all our trade show booth displays and exhibition stands to anywhere in Australia, including Sydney, Brisbane, Perth, Adelaide, the Gold Coast, & Canberra!